Kyle Bronsdon > Words > food > I swear I used to be able to make fried chicken. I swear I used to be able to make fried chicken. Doesn’t that look delicious?! Well, it wasn’t. It tasted worse than perfectly fried spiced dough should be capable of tasting. 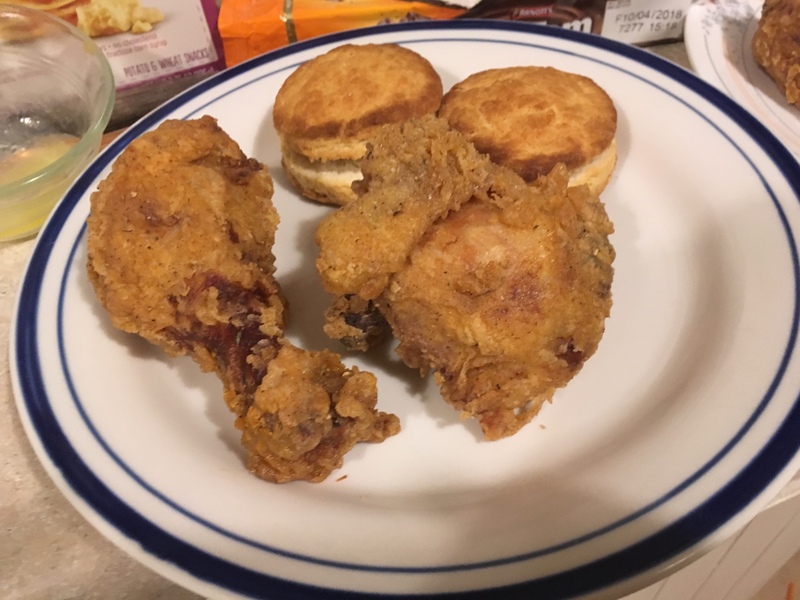 Every time I make fried chicken I swear it’ll be the last because it always tastes like nothing, no matter how much I season the flour or how long I soak the chicken in milk or brine it. The biscuits were actually pretty tasty, but The Joy of Cooking gets some things so wrong. Like the size. Next time I’ll make ’em big and fat and that, my friend, will be good biscuits. But I won’t be serving them with fried chicken.